Next week’s China Open is the final counting event in the race to qualify automatically for the Betfred World Championship. Only the top 16 in the Race to the Crucible will earn an automatic spot in the final stages in Sheffield. All other players will have to win three qualifying matches to make it to the Crucible. Mark Allen’s first round defeat at last week’s Ladbrokes Players Championship left him in 17th place, which means he must win his first round match at the China Open, against Noppon Saengkham next Monday. Victory in that match would put Allen back above Ryan Day. As Day has not qualified for China, that would end his hopes of a place among the top 16 seeds. There are 36 players among the field in Beijing who are currently outside the top 16 in the race, but with a chance to climb into the elite. Stephen Maguire, currently in 18th spot, must at least reach the semi-finals in Beijing to have a chance, while Liang Wenbo and Mark King could jump into the top 16 by reaching the final. With a massive top prize of £225,000 on offer, any player down to Andrew Higginson in 60th still has a chance if they can win the tournament in China. 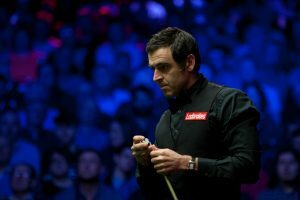 Ronnie O’Sullivan won last week’s Ladbrokes Players Championship and remains on course to become the first player to earn £1 million in prize money in a single season. The £125,000 top prize in Llandudno (plus the £5,000 high break prize) took the Rocket’s total for 2017/18 to £798,500. This is the second highest amount ever earned in one season, behind only the £932,000 Mark Selby banked in 2016/17. If O’Sullivan wins his sixth ranking title of the season in China, he will go into seven figures even before heading to the Crucible. 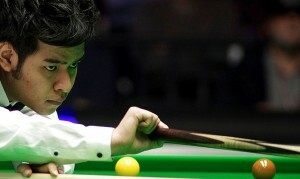 On the one-year ranking list he now holds a lead of £363,000 over second placed Mark Williams. On the official two-year ranking list, O’Sullivan remains second but has narrowed the gap on leader Selby to £525,025. Heading to the Crucible, Selby will be set to lose the £330,000 he added to his total by winning the 2016 Championship. And with a record £425,000 top prize on offer this time, O’Sullivan could go to Sheffield with a chance to wrestle the number one spot from Selby, who has held it for over three years.